Jordan Brand’s banner shoe model for this year, the Air Jordan 2011, is set to make noise once again with the scheduled release of three new colourways today! 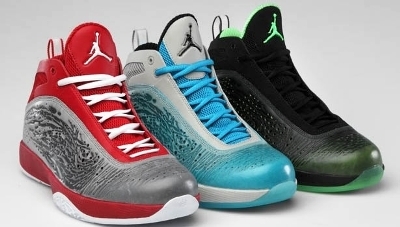 The Air Jordan 2011, which is known as one of the most versatile shoes from Jordan Brand, will be released in Varsity Red/Wolf Grey-Medium Grey, Tech Grey/Black-Orion Blue-Chlorine Blue, and Black/Neo Lime colourways. Like the earlier colourways of this shoe, the new edition of the AJ 2011 boast the interchangeable cushioning and inner lacing system that will suit your style of play. So if you are looking for a fresh look, then you should not miss this one. Grab one now and you’ll never regret it! Air Jordan 2011 “Blackout” Hit Shelves!